APTEDIA is web holding project created by Sébastien LANDRIEU, ex wix.com team member. APTEDIA actually counts 10 projects mainly pure players including one that is an artificial psyche. The APTEDIA group has been created with one and only goal: become an actor of a positive societal change. 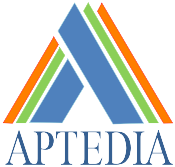 APTEDIA's projects been created during 4 years while its CEO, Sébastien LANDRIEU was a home office webmaster caring about his three baby kids. Having no choice to change his mind but to work on several projects, all started with one project, 2, 3 and now ten mainly pure players. Sébastien rmainly received non-answers, negative answers, encouragement letters as well as admiration letters in regard of his personnal background but no one accepted to listen or finance him...Here came the idea of Paper Rabbit that is a 6.8 feet paper mache statue made out of all the fortune 500 mail delivery notification documents and the help of 8 French artisans. Paper Rabbit entrepreneurial symbolism is tenacity, optimism, resilence, dream, passion, ambition, audacity, creativity, craziness, unconsciousness and magic which are one and every entrepreneur core values. The New Givers foundation project stands to make fortunes give to entrepreneurs contractually engaged in making the world a better place their turn. It's better to see an army of good makers and future donors but just a few of them.